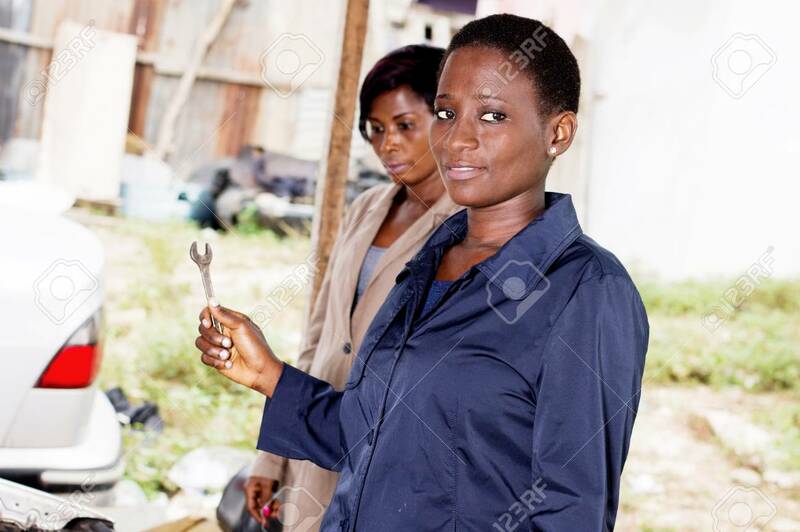 Young Woman Mechanic Holds The Key To The Owner Of This Car. Banque D'Images Et Photos Libres De Droits. Image 102909747.